Thankfully these days, there are natural deodorants that actually work and are just as good (I’m going to say better) than conventional deodorants. We are now spoilt for choice with many clever people making great natural deodorants that are way better for our health. So here it is : The Ultimate Guide to Natural Deodorants! I hope you find it interesting and a great resource to refer back to. 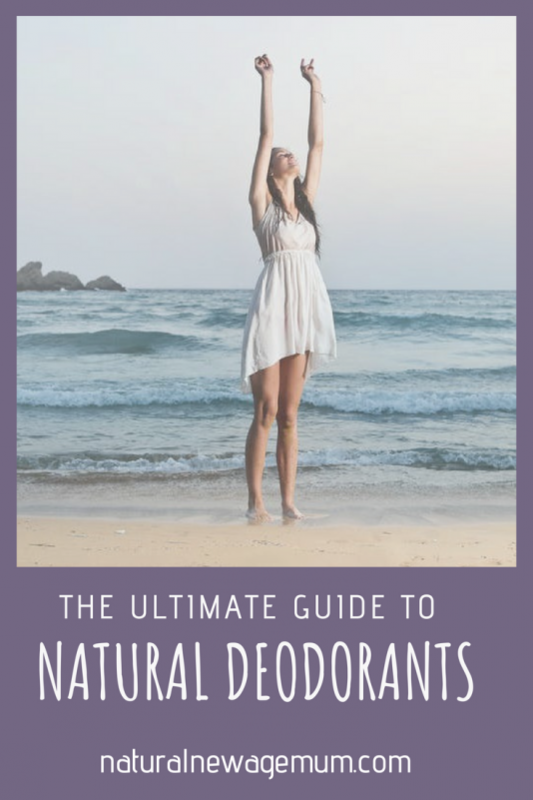 Here’s the thing with natural deodorants – they are not antiperspirants. Antiperspirants work by blocking our sweat glands to stop us sweating (usually with aluminium!!). Deodorants stop the odour, not the sweating. Sweating is good! It’s a natural body process to help us stay cool and eliminate toxins. It’s not the sweat that smells – it’s the bacteria under our arms that makes us smell whiffy. So, a deodorant to keep the smelly bacteria under control but still lets our body eliminate toxins naturally is the ideal. Conventional deodorants contain some very nasty toxins that are applied close to two of your body’s major lymph glands! As mentioned, anything that is an antiperspirant will also block your sweat glands. Aluminium – linked to breast cancer and Alzheimer’s disease. “Strong evidence of human neurotoxicity”. 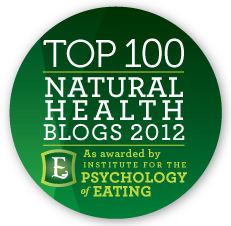 Parabens – a hormone disruptor (find out more here). “Suspected endocrine disruption”. Propylene Glycol – “Suspected respiratory, immuno and neurotoxicity”. All of these chemicals are suggested by The Chemical Maze to be best avoided. There have been some studies that linked antiperspirants /deodorants with breast cancer. However more recent studies say we need more information and the results are not conclusive. You know my stance on these things – if there is a doubt, err on the side of caution! Logically, it doesn’t make sense to interfere with your body’s natural processes, so embrace the sweat and go natural to kill the smell. You should always apply deodorant to very dry, clean skin that has no soap residue. Washing and drying thoroughly keeps bacteria at bay and helps the natural deodorant to do its job more effectively. Some people even swear by exfoliating your pits regularly with a face cloth, so that’s something to try! Some deodorants will sting if applied to freshly shaved skin, so leave the shaving or waxing to night time when you don’t have to use deodorant. On really, really hot days when you are doing a lot of physical activity, then you may need a second application. If you need to reapply, give your skin a bit of a wash and dry first, if you can, to help the deodorant work better. Unfortunately first time users of natural deodorants often give up because they don’t realise their pits are detoxing from using conventional deodorant. It can take up to two weeks for your pits to detox and get healthy! You might experience redness, itchiness, rashes or strong odour. If your pits don’t settle down after two weeks or so, you may need to try a different brand. 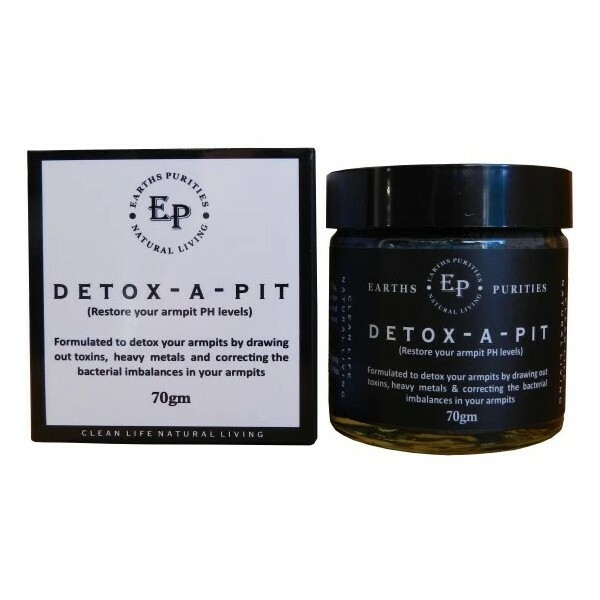 Earth Purities make a product specifically for detoxing your pits, called Detox-A-PIt. 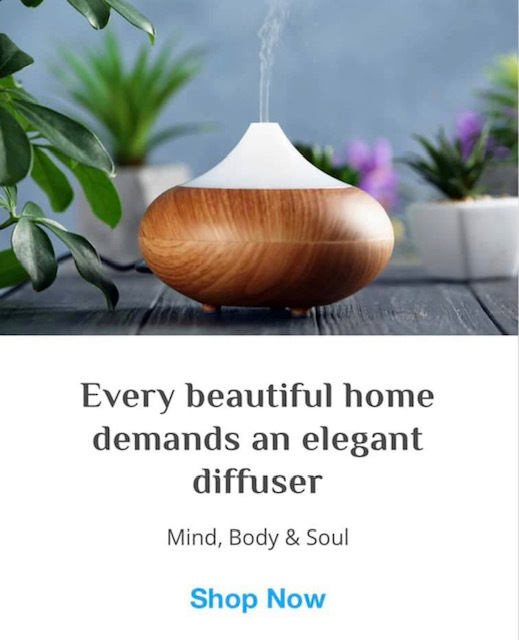 Its designed to help draw out the toxins and heavy metals and correct the imbalances in the bacteria that cause the odour and irritation. I haven’t used this one so I can’t comment on the effectiveness but it is an option for you to consider if you are having real trouble with switching to a natural deodorant. Check out some more info about how it works and some feedback here. Get Earth Purities pit detox paste here. I can’t really tell you that! We are all so unique in our chemical makeup, our diet, our daily activity level and our climate, so it’s really a very personal thing as to which one will work the best for you. However, I do have a list of awesome natural deodorants for you. I have tried so many over the years and these are my favourites. I tend to switch it up and use different ones all the time. I also test them out on two smelly teens and the husband! I prefer to support Aussie small businesses and ethical, passionate people who love what they do. So it’s no surprise that those amazing people’s products made it onto my list. 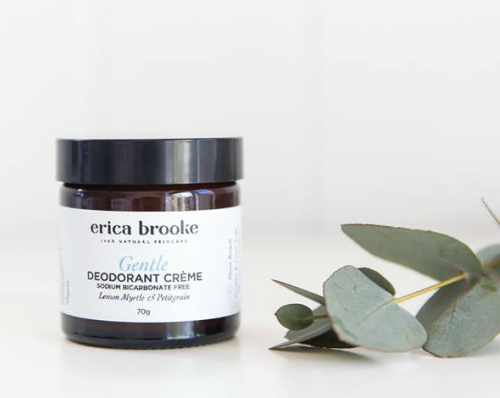 Handmade in Brisbane by a natural new age mum, Erica Brooke deodorant cremes are simply luscious. The deodorants are beautifully soft to apply, like a smooth and creamy moisturiser. Erica makes them with all natural, organic, ethical ingredients including shea butter, coconut oil and pure essential oils. The deodorant cremes also come in unscented, double-strength and bicarb-free versions so there is something to suit everyone! I love that they are packed in glass for a plastic-free, recyclable option. Get Erica Brooke Natural Deodorant Paste here. 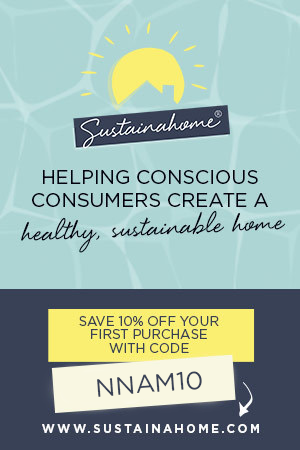 Use the code: NNAMLOVE for 10% off everything storewide. Charelle is a naturopath from Melbourne who creates natural deodorants and balms using medicinal & magical herbs. 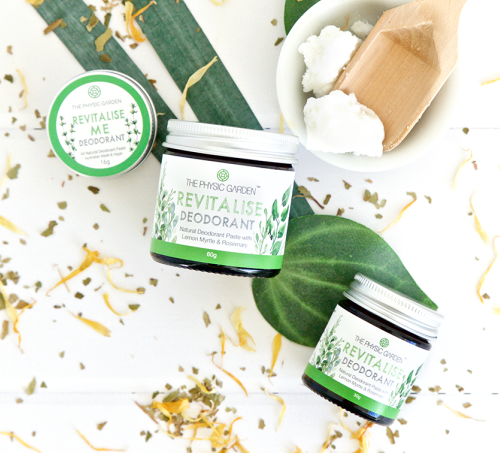 As well as being naturopathically formulated and handmade with love in small batches, the deodorants are completely natural and made with organic and sustainable ingredients. Featuring soothing herbs and pure essential oils, there are three versions of the pastes. Relax Me has a soft floral scent, Revitalise Me is fresh and citrusy and Sensitive is scent-free and bicarb-free. I have been trialling all three of the deodorant pastes for a couple of weeks now and I am a huge fan. They work beautifully all day with one application and I do love a floral scent, so the Relax Me version is my absolute favourite. Charelle has a real passion for the environment and sustainability and uses no plastic at all. The deodorants come in either glass jars or aluminium tins and they are palm oil-free, vegan and certified cruelty-free. So much to love about The Physic Garden! Get The Physic Garden Natural Deodorant Paste here. Hand-made in Newcastle by the quirky couple from Happy Skincare, Woohoo is one of our family’s favourites. There are three great options – Urban, Wild and Mellow and a new one coming soon! Aaron and Phoebe have just released the option of aluminium tins for all of their deodorants if you don’t want to get the recyclable plastic tubs. They all come with a small spatula for hygienic application. 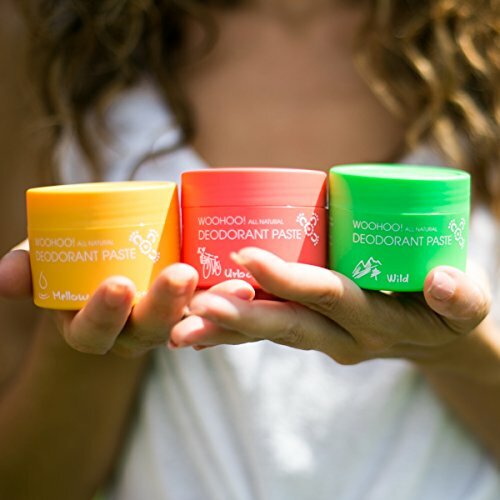 Vegan, cruelty free, all natural and made with organic ingredients, the deodorants are great performers and are specially formulated to be pH friendly and gentle on skin. They are guaranteed to work and last around five months, so they are great value for money! Get Woohoo Deodorant Paste here. Use the code: NNAM to get 10% off your first order and if you get two full sizes, you get FREE shipping. Roll-ons have the benefit of being quick and easy to apply and being more ‘mainstream’ looking for those having trouble changing over the a natural option. Fresca Natural deodorants have been around for over 6 years and are real industry leaders with stacks of rave reviews and awards. Elda Kingston, a Perth mum, still hand-makes all the deodorants herself even with over 200 stockists worldwide. I love these deodorants for their hard-working staying power. Made with all natural, food-grade ingredients, Fresca Natural are cruelty free, vegan and contain no palm oil. They are fast and easy to use with a quick-drying, non-sticky feel. My favourite is the Wild Lavender scent – it’s an absolutely gorgeous blend of lavender, patchouli and geranium essential oils. Elda makes seven varieties to choose from, including unscented and more ‘manly’ scents like Wooden Spice for the blokes. 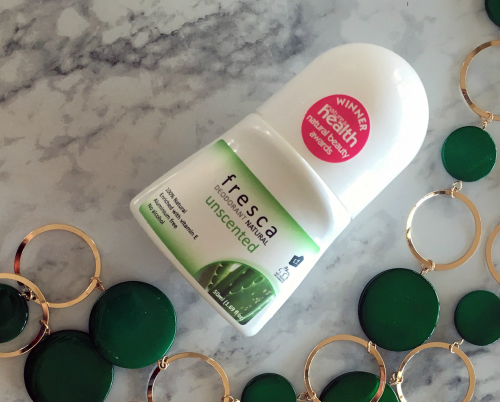 Get Fresca Natural Deodorants here. Elda will give you FREE shipping when you get two or more products! A Bit Hippy is one of my favourite brands for affordable, hard-working beauty products. The deodorant is no exception! At under $8, it’s a great natural option that is bicarb-free, easy to use and effective at keeping the B.O at bay. 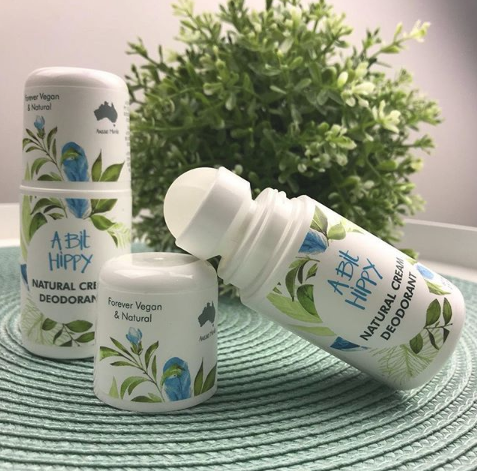 The A Bit Hippy deodorant cream has a very subtle, fresh unisex scent and is vegan, cruelty-free and made in Australia. A Bit Hippy offer a 100% customer satisfaction and money back guarantee if the deodorant doesn’t work for you. You can’t go wrong! Get A Bit Hippy natural roll-on deodorant here. 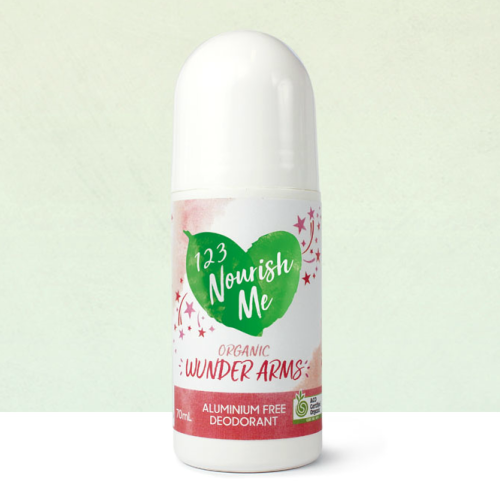 A new offering from 123 Nourish Me, Wunder Arms is a great little roll on. I love a pun, so it makes me smile whenever I use it! The scent is fresh, subtle and slightly floral but not too much so that blokes couldn’t use it. 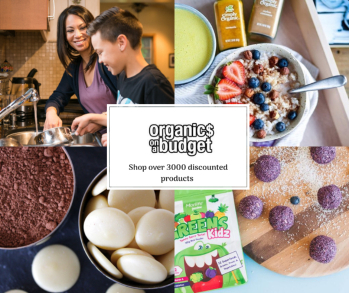 It’s certified organic, contains low bi-carb and pure essential oils, Aussie bush flowers and bush fruit extracts. As usual, amazing Aussie mums Alisa and Danni only use the highest quality ingredients in their products and they are very particular, so you can be assured that you are getting only the best. Get Wunder Arms Organic Deodorant here. Some people just love a spray deodorant! Aussie mum, Natalie from beautiful Aussie skincare company, Lhami hand-makes this one. It’s an aluminium & alcohol free natural spray deodorant with soothing chamomile & aloe vera. Pure oils of coconut, patchouli & lime all have effective deodorising properties and smell great. 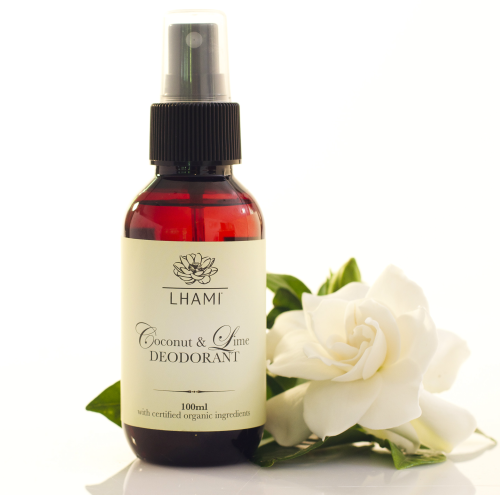 Get Lhami Natural Spray Deodorant here. Obviously, teenagers can use any of the deodorants I have recommended. My daughter’s favourite is Erica Brooke and she is slightly obsessed and won’t use anything else. Boys however can be a little bit harder to please, because there is the ‘cool factor’ to consider. That’s where 808 Dude comes in. Aussie mum, Carolyn could not find a natural deodorant for her teenage son, so she made one! 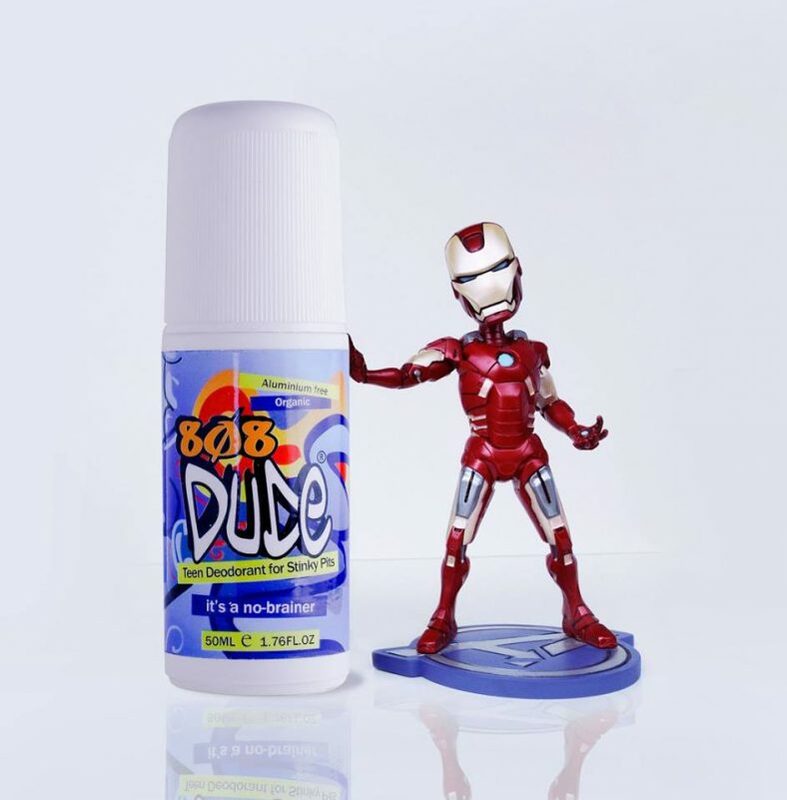 808 Dude is an organic, all-natural, roll-on deodorant in a woody, uplifting scent. I love the cool packaging and the affordable price. My teenage son gives this one the thumbs up for it’s staying power too. Get 808 Dude natural roll on deodorant here. Some people react badly to sodium bicarbonate (bicarb) and/or essential oils in natural deodorants. If you are one of those people, try Woohoo Mellow or The Physic Garden Sensitive which contain no essential oils or bicarbonate of soda. Go back up the page to see the special offers for these. If you do a lot of physical activity or exercise, my recommendations are the unisex Woohoo Wild and Erica Brooke’s Double Strength. Go back up the page to see the special offers for these. Check out these DIY natural deodorant recipes and get all the ingredients and the containers you will need as well. You could have a deodorant making night with a few friends – what fun! I told you this article was going to be epic! Thanks so much for reading this far. I know making the switch to natural deodorants isn’t always easy but give it a go. The health benefits of ditching those nasty toxins are really worth it. Let me know if you have any questions or want to know more about natural deodorants. Great article. I went to one of Biome’s DIY skincare workshops the other week and wrote a blog article about it – on A Note from the Beach. I’m thinking of going to their DIY every day basics workshop Saturday week where you learn to make deodorant and toothpaste.